Good morning, friends! 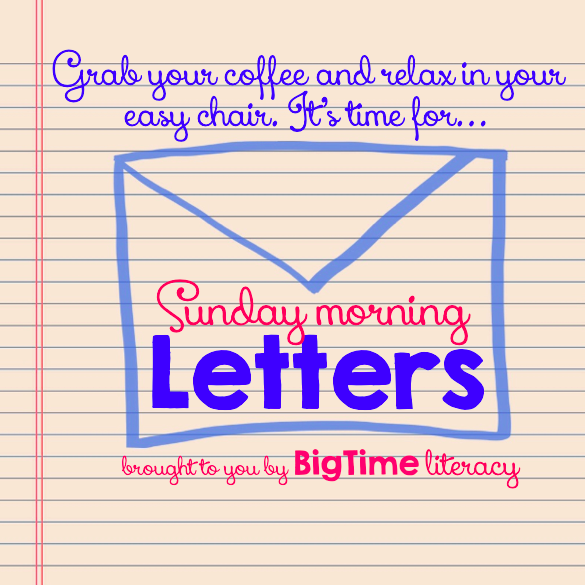 We're back for another edition of Sunday Morning Letters! I know you said you're "a big nerd," but I love that I'm going to learn so much from you this year. I know we'll have a good three days still getting everything ready for your kinders, and I can't wait to see you with them on their first day! I really try to end our relationship. Like, all. the. time. But I just can't seem to let you go, so a drink every other day or so will just have to be okay. I'm so happy that your blog is good to go! I love that both you and your coteacher are blogging and I'm looking forward to reading more from you. And, I'm so glad we're friends. If you ever need anything, I'm here for you girl! PS - I did not love when you pointed and laughed at me on Friday before my speech...but looking back, it's hilar! I'm not going to lie, I got tons of compliments when I was jammin with my jammicure, and I loved the patterns! But it just took so long to get it done myself. So, I will try again in the future, but for now, I'm off to the manicurist. I CAN'T WAIT till next weekend when you'll be just two neighborhood blocks away. I'm saving my pennies for some great new art! So funny how amazeballs was added to the dictionary! You knew I'd appreciate that, right? Thought of you on my last letter! I still have the most special place in my heart for our team. When we were together for those two years, I knew we had a really cool thing, but I didn't know exactly how special it was. 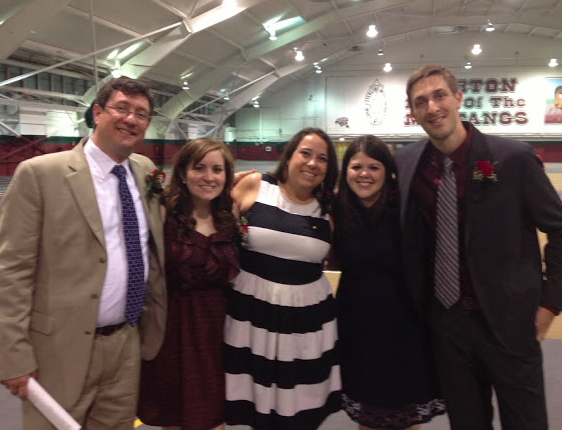 I still look back on those years with such love and admiration for each of you. I think a big part of the reason I miss middle school is, in large part, to you all! So, readers, do you have letters to share? It's time to link up! Write your post and submit your link here! We'll be back at this again in two weeks, so plan to meet me here at BigTime Literacy again! Have a great week - and if it's your first week back, enjoy the special moments with your students! Sounds like you are ready for a new year! Thanks for hosting the link up :) I'm having a 100 follower giveaway, so check it out if you get a chance. This is a really great idea and I actually had a lot of fun doing it. Thanks! love your letters! I need to figure out how to do this whole link up thing so I can write some too!! :-) See you in the morning, roomie! Thanks again, friend. You're amazing! And I didn't mean to point and laugh. You were just so serious! I was surprised. But you did a great job presenting, and I'm sure you inspired others to start blogging as well! I finally have a few minutes to catch up with my favorite teacher blogs! I loved your presentation and was actually kind of excited to be part of it :) thanks for all that you do and for being so supportive of us newbies! I love this linky!! It is so much fun to read everyone's letters. Thanks for doing this. I am also a mentor for two teachers this year. I love watching them, growing with them, and learning together! This is a such a cute idea! I just published a post to link up... and then realized the collection is closed :) oops! Hopefully you'll post another one today! I did just as Jenny and linked up too only to see it closed. Oh well...time to get back to bloggin anyway. Hey Carla! So I post that blog every other week - I'll have a new one up next Sunday (It's probably kinda confusing - Perhaps I didn't explain it right!) But I'm going to go open up the linky again! Sorry for the confusion, but so glad you are joining in!